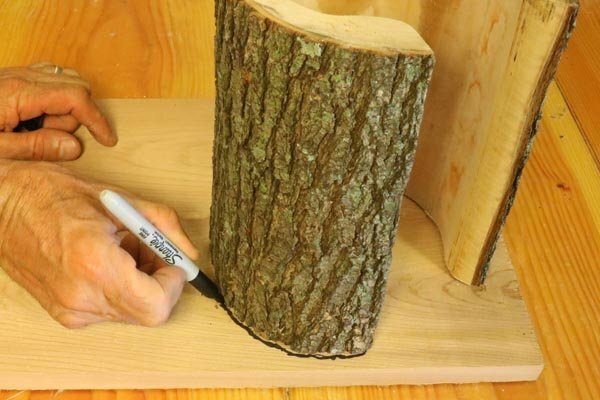 Learn how to make this hanging log bird feeder from a natural log or fallen tree. 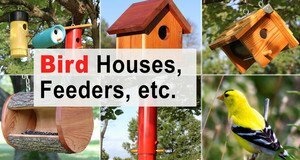 This homemade DIY bird feeder will attract chickadees, nuthatches, woodpeckers, house finches, goldfinches, and bluebirds to your yard or garden. In under 15 minutes, you can create this rustic handmade seed feeder using a recyled or upcycled log. 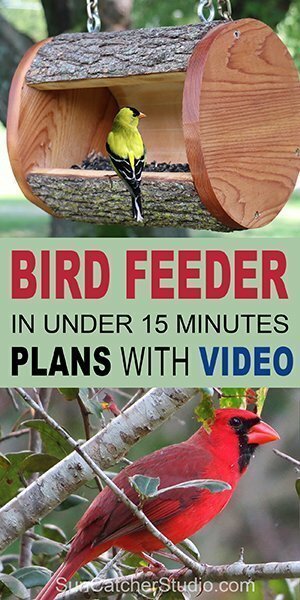 See more plans for bird feeders and bird boxes. 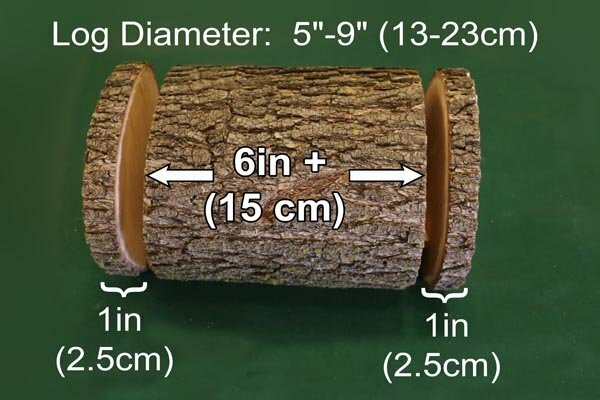 Log 5-9 inches (13-23cm) in diameter. 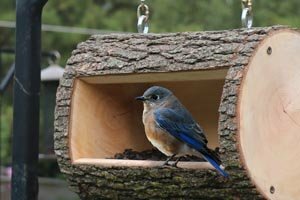 A love for bird watching or an act of kindness! Three different options will be covered. 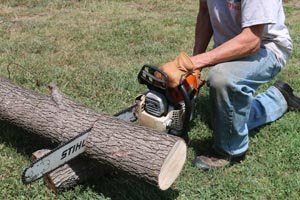 Find a log 5-9″ (13-23cm) in diameter. 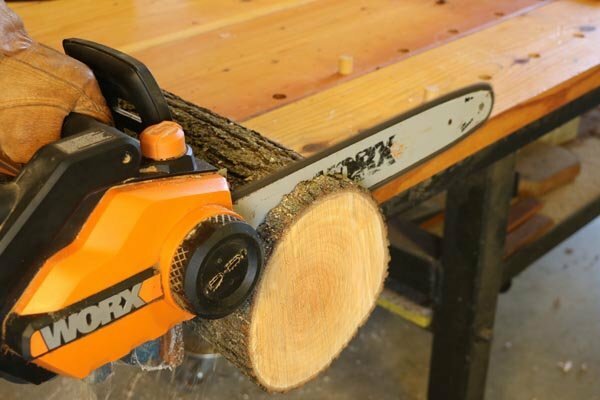 Cut off 1″ discs on both ends. 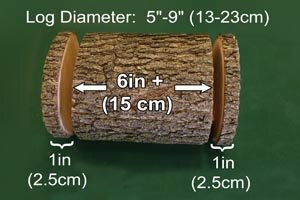 Ideal dimensions for log bird feeder. Mark center area to be removed. 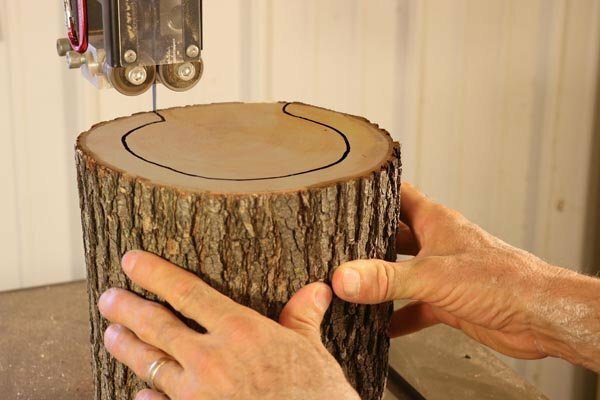 Use a bandsaw to remove center. Option 1: Attach Round Discs to Both Ends of Birder Feeder. 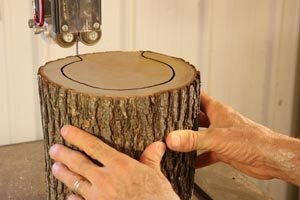 Option 2: Create Ends for Bird Feeder from Center Piece. Create two strips from center piece. 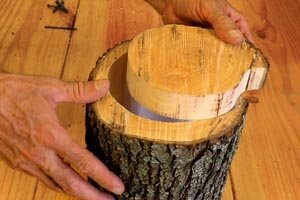 Fasten strips to edges of bird feeder. Option 3: Create Ends for Bird Feeder from a Different Board. 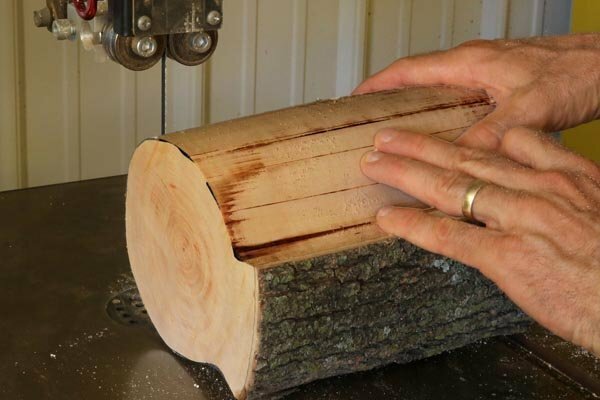 The ends on options 1 and 2 both contain the pith and will eventually crack as the wood dries. 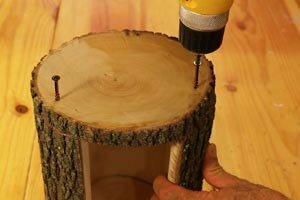 If you want your finished bird feeder to be crack free then take the following steps. First allow the log (with the center removed) to dry for several weeks or more. While drying, the bird feeder will shrink crack-free since the pith has been removed. Once dry, create and attach end pieces using cedar wood (or some other naturally rot resistant wood). 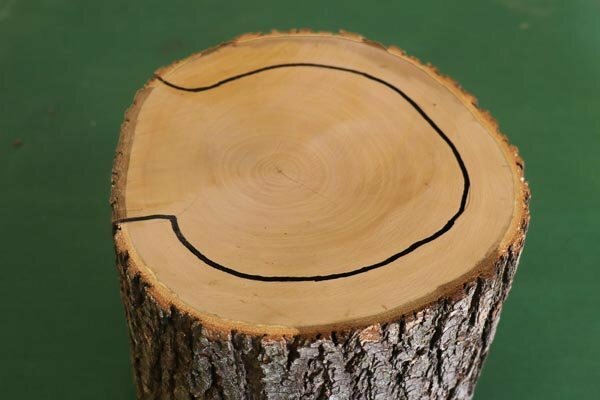 Create end pieces from cedar. 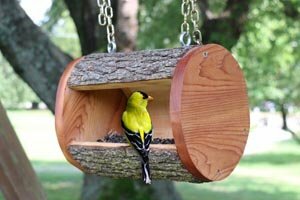 Bird feeder with cedar ends. Bird feeder with natural ends.